It’s the 1840s: red bricks, smoky chimneys and big industrial mills. The introduction of the steam engine has resulted in radical improvements to the UK’s production of textile, metalwork and other manufacturing goods. The country is reaping the fruits of the industrial revolution; it is pursuing policies of free trade with the rest of the world and is the most powerful nation on earth. Fast forward 175 years and much has changed since then. Historical data from the Census gives us a broad sense of how the UK’s industrial structure has evolved over time and what this means for cities. In particular, the data shows that there are approximately five times (20 million) more jobs today than there used to be in 1841. However, three major changes have meant the UK’s present industrial structure is fundamentally different from that of the Victorian Age. There has been a total shift from exports jobs towards employment in local services. Back in 1841, export industries – i.e. those industries that sell outside the local economy to regional, national and international markets – accounted for 60 per cent of all private sector jobs in England and Wales. 175 years later, these industries only account for 25 per cent of all the jobs while the bulk of employment is now in local services such as in retail, leisure and construction. Indeed, while there has been a 14 per cent decline in ‘goods’ export jobs between 1841 and 2011, employment in local services grew by 800 per cent. This shift is the result of huge increases in productivity. Technological improvements, globalisation and other structural trends have made the UK’s exporting sectors more productive, putting money in people’s pockets. As a result, demand for local services has increased, driving up employment in these sectors. Within export jobs, services exports have become ever more important. In 1841 the UK’s exporting sectors were dominated by manufacturing, with services jobs accounting for just 1 per cent of all exports jobs. Over the decades, technological improvements and globalisation have meant the UK has gradually shifted away from manufacturing and that the majority of today’s export jobs (59%) are now in ‘services’, such as financial services, information & communication and other professional services. But this is not to say the UK doesn’t make anything anymore. The aforementioned productivity improvements mean that the UK is still a big exporter of goods today but it now requires fewer people to be employed in these industries. The UK’s export economy has shifted South. Led by London, cities in the Greater South East accounted for 11 per cent of all exporting jobs in 1841. 175 years later, these cities account for 30 per cent of all exporting jobs in England and Wales. This shift of the export economy towards southern cities happened for two reasons. Firstly, cities in the Greater South East have been those best able to attract high-skilled exporting jobs. In these cities, between 1841 and 2011, growth in high-skilled exporting jobs has been twice as fast as in cities in the North and Midlands. Secondly, cities in the North and Midlands have experienced a large fall in their export base in the second half of the twentieth century due to the decline in mining and manufacturing and have struggled to replace these jobs. Of the new exporting jobs they have created, these have tended to be in warehousing and call-centres rather than shifting towards exporting higher-value services. As a result, between 1841 and 2011, cities in the North and Midlands have doubled their number of export jobs, but cities in the Greater South East have had a five times increase in export jobs since 1841. This is reflected in the experience of specific cities. Take Stoke and Brighton for example: the two cities now account for a similar amount of jobs, but at its peak in 1951 Stoke had three times more export jobs than Brighton. 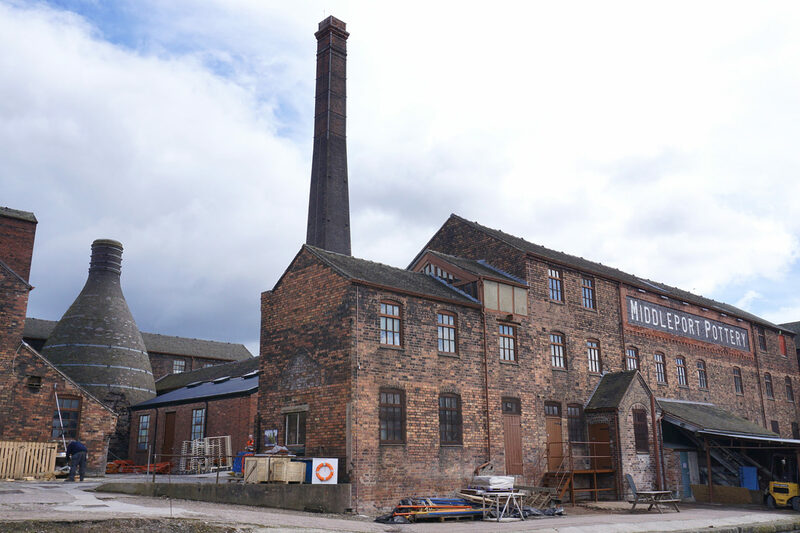 The city was renowned in the UK and internationally for its industrial-scale pottery manufacturing but since the decline of this industry from the 1950s its economy has never fully recovered. On the other hand Brighton did not have a strong manufacturing presence in the 1900s and it played a much more marginal role in the national economy, but over the years the city has continued to grow by attracting high-skilled workers and businesses and it is now one of the most successful cities in the country. The divergence in the performance of cities in recent decades has been the result of the varying performance of their exporting sectors. As the data shows, cities need to replace jobs in declining export industries with jobs in new – more productive – exporting sectors, and it is cities in the Greater South East that have been most successful at doing this. If Local Industrial Strategies are to help improve the fortunes of struggling places, than they should focus on measures aimed at removing the barriers that deter high-skilled exporting businesses to locate in cities outside the Greater South East, particularly investing in skills and focusing on maximising the benefits cities can offer to businesses in terms of access to knowledge and shared infrastructure. It would be interesting to see how employment in Services Exports has changed in the past few years. BET365 (an international services company) is now the largest employer in the Stoke conurbation. It was previously Phones4U and Vodaphone. I was surprised to see that jobs with Goods in Stoke peaked in 1951 and has declined steadily since then. Local folklore has it that everything was OK through to the early 1970s with the decline beginning in 1980s and intensifying during the 1990s. The graph shows something quite different.